Watermelon Festivals in 2019: Where, When and More to Find a Watermelon Festival Near You! Looking for a Watermelon festival in April 2019? There is no other listing as complete and current as this list, just updated! Watermelon festivals are held through the United States, Canada, Britain, and Australia and much of the world. All the Watermelon festivals we can find are listed on this page! If you love Blueberries, look for a festival near you below! And I'm looking for more Watermelon festivals! Please write me, if you know of any to add! I update the dates as soon as the festivals publish their information, but you can always click on the links (usually the name of the festival) to see the current information on the festival's own website. Pickled watermelon rinds are sweet and delicious!. See this page for the easy recipe). Grand Bay Odd Fellows Festival Park, 10327 Taylor F. Harper Blvd., Grand Bay, AL. Phone: 251-865-3456. Email: [email protected]. On July 3rd GATE OPENS from 3 pm to 7 pm - No Admission charged and NO free Watermelon. We will have Food, Arts & Crafts, & Ride vendors and other entertainment. On July 4th GATE OPENS 8 am to 4 pm to $5 Per Vehicle Admission - With the Vendors, Music, Games, all the Free Sliced Ice Cold Watermelon You Can Eat, Pretty Baby Contest, and Open Car Show, ONLY on July 4th!!! Family Event so NO Smoking and NO Pets allowed in Festival Area. No alcohol allowed in the Park. City Park, 100 Park Street, Cave City, AR 72521. Phone: (870) 283-5301. Email: [email protected]. The focus of the festival is still "The World's Sweetest Watermelons" and the businesses of Cave City. The festival has grown into a sort of homecoming. Family and class reunions are planned around the festivities and at any given time during the 3 days you will find old friends reunited once again. For three days every August, people from across the country come here to slow down and enjoy one of Arkansas' best festivals. If you've never been, or have been away too long, we invite you to grab a lawn chair and stay awhile. Hope Fair Park, 800 Mockingbird Lane, Hope, AR 71801. Phone: 870-777-3640. Email: [email protected]. Admission is Free. The Hope Watermelon festival features numerous activities including arts & crafts, food, entertainment and other family-oriented activities. Local civic clubs hold dinners featuring such down-home fare as locally grown smoked chicken and golden fried catfish. What else can you do at the festival? You can participate in a 5 k race, take in a dog show, enter the "Watermelon Idol" talent contest. The Urban Cowboy Reunion Tour staring Mickey Gilley & Johnny Lee will headline the Friday night concert in the park! Saturday night concert will see mark the return of gospel music...Gospel Fest! Rocky Ford Fairgrounds, 800 North 9th Street, Rocky Ford, Colorado 81067. Phone: 719-254-7723. Email: [email protected]. Dogs, Cats & other PETS are NOT permitted on the Fairgrounds during Fair Week, unless they are essential aids to people with disabilities. Cordele, GA. Phone: 229-273-3102. June, 2018 will mark Cordele's 69th year celebrating the bountiful summer harvest with the "Watermelon Days Festival". A month chock full of good, clean, watermelon FUN! Visitors come from near and far to enjoy events such as the 4H Dog Show, Seed Spitting Contest, Watermelon Horseshoe Tournament, Fishing Rodeo, Watermelon Decorating Contest, "Wedding Game", Watermelon Chunking Contest, Gospel Singing and much, much more. If you happen to be one of those visitors, be sure to take a ride on the SAM shortline excursion train where the vintage 1949 air conditioned cars take you back in time to the very first year Cordele hosted the Watermelon Days Festival. Depending on which day you choose to take the 45 mile trip from Cordele to Archer, stops may include the Georgia Veteran's State Park at Lake Blackshear, Leslie, Americus and/or Plains, home of President Jimmy Carter. For a detailed schedule of all of the events of this year's Festival, including the grand finale celebration of July 4 fireworks on the beautiful Flint River, click on the link above. See you there! Beauregard Parish Fairgrounds, DeRidder, LA 70634. Entertainment that can't be beat! Check out our entertainment page for a full list of festival entertainment! Hot Eats and cool Watermelon Treats. A wide variety of food and drinks, and of course, Watermelon! Fun and games for the whole family, Shopping, entertainment, and carnival rides! Downtown, 100 E. Bayou St., 505 EAST WATER ST.,Farmerville, LA 71241. Phone: 318-368-0044. A seed spitting contest and a watermelon eating contest and a street dance on Friday night. Town Hall, La Platta, MAryland. Celebrate the 4th of July at Town Hall. Join us for hot dogs, water slides, and plenty of watermelon. Wright's Market, 9300 Old Railroad Road Rt. 50, Mardela Springs, Maryland 21837. Phone: (410) 742-8845. Annual Watermelon Festival providing fun for the entire family. Watermelon Seed Spit & Eating Contest, Watermelon Bowling, Little Miss Watermelon Princess Contest, FREE Firetruck Rides, Car Show, Tractor Show, Live Music with Barren Creek, Games, Crafts and much more. FREE watermelon slices and corn on the cob provided by Wright's Market. Delmar VFW and Delmar Lions Club will prepare BBQ chicken, Hamburger and Hotdogs to raise money for their cause. Northwestern's Relay For Life Team will be selling drinks and sno-cones for the American Cancer Society. Kellogg Annual Watermelon Festival - over 71 years running, Always held on the weekend after Labor Day, September 8th, 9th and 10th. Kellogg, MN. They have a parade, entertainment, events, "'burnout", Pagent, vintage tractor ride, soap box derby, softball tournament and more. Front St, Vining, Minnesota 56588. Phone: (928) 219-1712. . Email: [email protected]. "Biggest Small Town Celebration in Otter Tail County", Watermelon Day is held on the 3rd Saturday in August in Vining, MN. Downtown Mize, MS 39116. Phone: (877) 790-9722. Exciting Entertainment, Arts and Crafts and Food, Kids Games, Car Show, Always fun for Everyone. The Mississippi Watermelon Festival is excited to welcome to our stage, for the 40th Annual Festival. The Mississippi WATERMELON FESTIVAL is a true family event, offering fun activities for the young and old alike. From our amazing car show to our always entertaining watermelon contests, you're sure to have a great time. Water Valley, Mississippi 38965. Email: [email protected]. The Watermelon Carnival is Water Valley's most prized annual celebration. An estimated 20,000 people attend the various events, always set the first weekend in August. The carnival is named among the top 20 festivals in the southeastern United States by the Southeastern Tourism Society. The first carnival was held on Thursday, August 27, 1931. At that time, the entire nation was in the grip of the depression. In Water Valley, a bank had failed, the railroad had pulled out, and unemployment was high. Local businessmen were concerned about the spirit of the townspeople, so they decided to host a carnival to boost morale. The Watermelon Carnival consisted of a parade, a pageant to name the carnival queen, and a formal ball. Festivities were repeated for nine consecutive years, and then halted with the outbreak of World War II. The Watermelon Carnival lay in dormancy until 1980. Thurston, NE. There are vendors, entertainment, and events that will be taking place. Tune into "Y101.3" in September for news about Watermelon Days. Make sure to verify out our local businesses as well as our Area Business Sponsors. Thank you to everyone who has added us on Facebook Tune into Channel 9.1 and 9.2 in September to see our television ads. Dresden, OH 43821. Phone: 740-754-3151. Alternate phone: 740-252-2651. Email: [email protected]. A family friendly event for all ages, celebrating Dresden's melon-growing heritage, set on the banks of the scenic Muskingum River. Events include live music, 5K, kids games, family puppet show, petting zoo, cruise-in, tractor pull, melon growing contest, melon derby race, archery lessons, fishing tournament, food, and beer garden. Free parking at Tri-Valley High School, shuttle provided. Melon Growing Contest: Cash Prizes for heaviest watermelon, largest cantaloupe, and sweetest cantaloupe, start planning now!! Jeff Davis Park, Rush Springs, OK 73082. Phone 580-476-3745 - Email: [email protected]. They offer watermelon-themed activities, carnival rides and plenty of family friendly entertainment for all. Held continuously since 1948, the festival attracts over 20,000 visitors each year with all-day entertainment and free watermelon in the afternoon. Other festivities include a seed-spitting contest, an arts and craft fair featuring over 100 vendors, carnival rides, live entertainment, stage shows, watermelon exhibits and more. Snack on tasty concessions from on-site food vendors, or browse through rows of classic cars, motorcycles and trucks in the festival's annual antique car and motorcycle show while sipping a glass of cool lemonade.. A parade will also be held Friday evening at 5pm. Valliant Watermelon Festival - held each summer on the third Saturday in July. Valliant, OK. By the slice or by the entire melon, the whole family is in for good, old-fashioned fun at the Valliant Watermelon Festival. Besides those fleshy slices of watermelon, there's watermelon salsa, slushies and all kinds of other foods with your favorite summer fruit. Also, there are car shows, live music, a watermelon eating contest and a seed-spitting contest for a little friendly competition. Irrigon Watermelon Festival - held annually in July. Irrigon Marinara Park, Irrigon, Oregon 97844. Join us in Irrigon for the anual Irrigon Watermelon Festival! Food-Fun-Games and Entertainment all day long! And Bellinger Farms Watermelons! We'll have a Life Flight chopper coming in to land on our baseball field at 12:30, be sure to sign up for their valuable service while there. We have a car show too, in the shade by the river, so if you have a nice ride or a classic car you like to show off, come on down!!! A 5k color fun-run supporting Grid Kids of Irrigon! Lots of local vendors, sure to be something for everyone! Our flyer (on their Facebook page) says it all. See ya'll there!! Riverbend Park, Winston, Oregon. Come on Down and have a good time at Melon Festival! We will have 3 on 3 basketball, mud volley ball, competitions like men's knees comp., dog comp. chilli cook off, don't forget the vendors, and our annual raffle we have lots of great prizes to give away. Bring your kids to we will have games, crafts for them to enjoy and lots for them to see during the parade on Saturday, at 11 am. We have live music for your entertainment so come listen while you enjoy one of our delicious BBQ dinners on Saturday and Sunday! Are you brave enough to get up on stage? If so don't forget to sign up for the talent show being held on Sunday! 230 Franklin Road, Franklin, TN 37064. Phone: 615-592-1337. The festival is a big, juicy sweet seed-spittin' fun day for the whole family! The games for the kids and adults, includes the popular watermelon seed-spitting contest and the popular fastest watermelon eating contest. Don't miss the wild watermelon carvings and slices of ice cold watermelon! 4374 Rocky Glade Road, Eagleville, TN 37060. Phone: 615-274-3786. Email: [email protected]. . Click here for current open hours, days and dates. Directions: Centrally located in Middle Tennessee just south of Nashville, half-way between Franklin and Murfreesboro. Click here for a map and directions. Payment: Cash, Debit cards, Visa/MasterCard. Click here for our Facebook page. 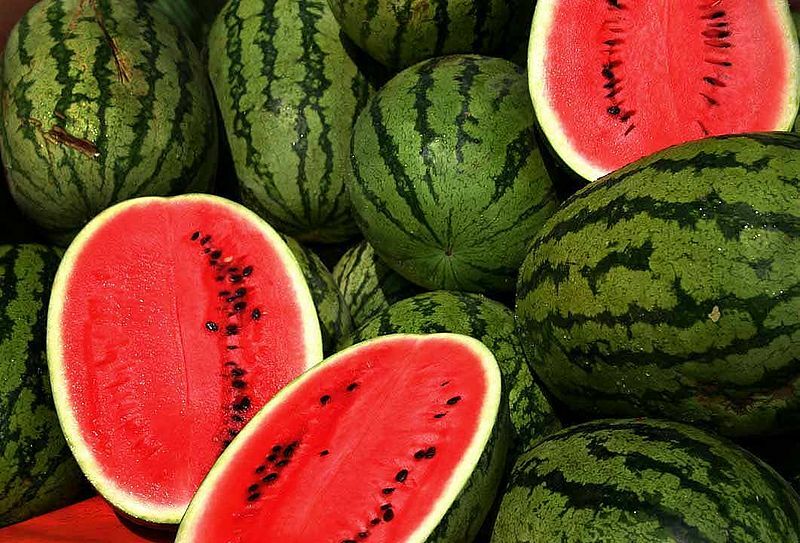 Crawl on down to the farm for some summertime family fun and enjoy a FREE slice of refreshing watermelon. Cool off in the Splash Zone featuring our Splash Pad, Bubble Blast Pool, inflatable water slides and more. Test your skills and win prizes in the Watermelon Crawl, Seed Spitting, Melon Toss and Watermelon Eating Contests. Lucky Ladd Farms - Family Adventure and Fun Park. Explore over 70 activities for all ages including Tennessee's largest petting farm. Adult: $13, Children: $11, Children Under 2: FREE. 219 New York Avenue , Oak Ridge, Tennessee 37830. Phone: (865) 483-7418. News Line: (865) 482-9266​​. Email: [email protected]. How much hot air do you have? Put it to good use in our Watermelon seed spitting contest! First place takes home a watermelon! For those with less lung capacity don't worry, there is enough food, drink and fellowship to still have a blessed afternoon. 3-Man Scramble Tournament, Concert Friday night at the John Wesley Powell River History Museum. Melon Run Saturday. Scout Pancake Breakfast; The local Boy Scout Patrol 289 is again doing their Pancake breakfast at OK Anderson Park at the pavilion (in the middle of town). Saturday during Melon Days, Starting at 7am to 9am. Men's & Coed. Square Dancing Friday 7-10pm and Saturday 8-10:30pm; $6 per person per dance. Raffle, door prizes and lots of fun. Melon Games & Melon Carving Contest. Carytown, Virginia. .115,000 people, over 3000 watermelons and you! With 80 musicians, over 100 exhibitors, one of the largest kids areas of any festival on the east coast and all of the great Carytown style, the Carytown Watermelon Festival presented by Martin's has become the largest one day festival in the state of Virginia. Click here for a link to our Facebook page. Chandler Park, Pardeeville, WII 53954. Phone: 608-514-1926. Email: [email protected]. Festival hosted by the United States Watermelon Speed-Eating & Seed Spitting Championships, Inc. A staple of our free festival, is the open air market. Our market showcases art and craft vendors from all over the area, plus a flea market and commercial vendors such Avon, Scentsy, and Tupperware. The fair opens at 10:00am until about 3:00pm. The last few years, we've had between 20 and 40 vendors spread out around the event grounds. Chapman Park, Stanley, WI. Annual Stanley Lions Watermelon Festival held at Chapman Park. Flea Market starts at 8 a.m. Charcoal Chicken serving starts at 10:30 a.m. Car Show 10 a.m. Children's Games 3 p.m. Free watermelon starting at 11 a.m. Raffle on grounds. Contact Information: (715) 644-3638 (General Info), (715) 644-5298 (Flea Market) and (715) 644-5376 (Car Show). Know of any? Write me! Straffordville, Ontario, Canada. Watermelon Fest Straffordville Firehall Pancake breakfast 7am, parade at 10am, Silent Auction at the community centre, free admission to enjoy food booths, craft vendors, musical entertainment, games & activities for all ages and family movie in the park at dusk...bring your blankets and lawn chairs!